Phil Karlson made a string of crime films in the 1950’s that few could equal in volume and quality. 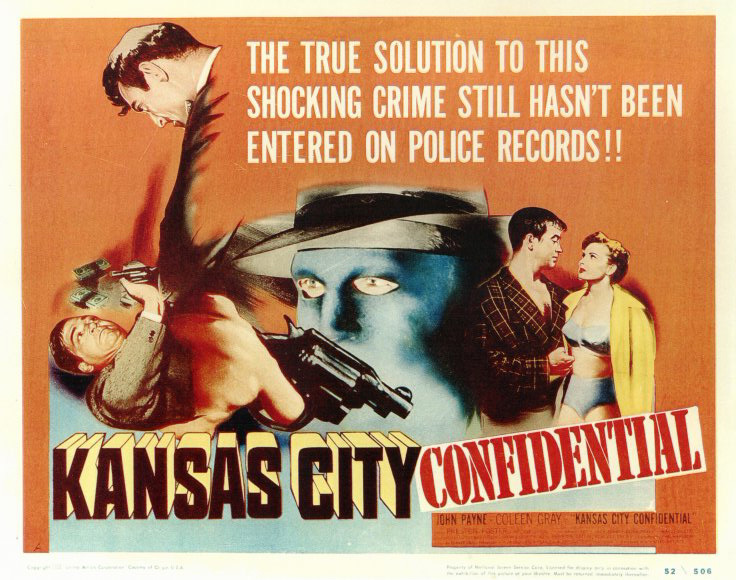 One of his earliest and best is 1952’s “Kansas City Confidential,” a hard fisted noir thriller that never lets up in tension for its entire running time. Joe Rolfe (John Payne), is an ex-con, now gone straight, working as a florist delivery driver who is set up to take the fall for a $1.2 million bank robbery. The gang of four split up until the heat is off with plans to meet in Mexico where the money will be divided up. Through sheer perseverance, Rolfe pursues the robbers in order to clear his name; however, but after the death of one of the crooks, shot by the police, he decides to muscle himself in on a share of the money. The film is shot in a straight forward style with a grittiness and hard hitting violence, rare for its time. It also has the good fortune to have three of the 1950’s nastiest looking criminal character actors, Jack Elam, Neville Brand and Lee Van Cleef in the kind of roles they do best. Heading up the gang is Preston Foster, who plays Tim Foster, an ex-cop, gone bad, contemptuous that after twenty years on the force, his pension is so small. His plan included having his three heavies wear face masks at all times when they meet obscuring their identities from one another, lessening the chances one will squeal on the other if they should get caught by the law. Pete Harris (Jack Elam) is first, a nervous slimy looking gun happy thug. Next is borderline psychotic, the stone faced Boyd Kane (Neville Brand) and the last member is Tony Romano portrayed by the snake like Lee Van Cleef. It’s a rogue’s gallery of menacing ugliness. The heist goes off as planned except that the cops pick up Rolfe as part of the gang. The truck used by the robbers was an exact replicate of Rolfe’s flower delivery truck and the police quickly come to the conclusion he was in on the job. He is eventually proven innocent however, not before one sadistic cop applies third degree tactics for three straight days in an effort to beat the “truth” out of him. Rolfe is enraged that he has been unknowingly used as a sap in the robbery. He sets out to find the criminals and seek revenge. He finds them in Mexico and assumes the identity of one of Pete Harris, after he is shot dead by Mexican police. With other gang members unaware Harris is dead, Rolfe manages to works his way into the gang posing as the dead gang member. However, it becomes complicated with the arrival of the gang leader, along with a woman, Helen (Coleen Gray), with who Rolfe begins a relationship. Helen, it turns out, is the gang leader’s daughter. The “one character” who is “supposedly a plainclothes cop” is no doubt a police officer. Mr. Crowthers inability to admit that this type of behavior sometimes exist is extraordinarily quaint. 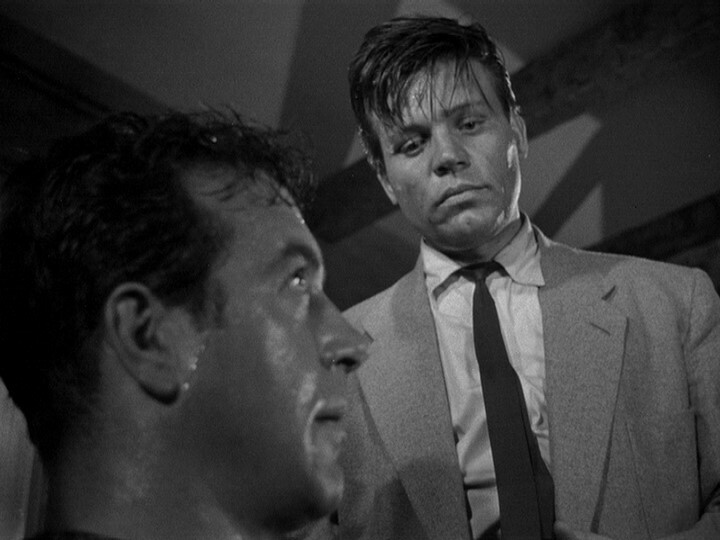 John Payne who transitioned himself, career wise, from Mr. Nice Guy on screen played a similar role the following year in “99 River Street,” and again in “Hell’s Island,” two other edgy Karlson crime films and suitable follow ups to this film. This entry was posted in 1950's, Film Noir, Film Reviews, Phil Karlson and tagged Coleen Gray, Jack Elam, John Payne, Kansas City Confidetial, Lee Van Cleef, Neville Brand, Phil Karlson, Preston Foster. At any rate, John, you’ve once again somehow found what sounds like a really first rate crime saga of the type that are so difficult to do today because it’s too easy to put in weird special effects of cars being smashed and tossed up into the air or people jumping out of planes and landing on buses or something of that type. Straightforward directing and really forceful storytelling seem to be lost in a miasma of directorial overkill with the camera flying all over the place and bizarre plotting that defies belief and ignores character development. Thanks for bringing this film to our attention. It would be a relief to see a story that could actually happen and characters that seem human. Film critic Bosley Crowther was real piece of work, for example his disdain for 1967’s “Bonnie and Clyde” cost him his job at the NY Times. How he lasted for so many years as such an influential critic is beyond me. Anyway, this good low-budget crime is film packed with some of Hollywood’s seediest looking character actors, but they are perfect for the roles they play. Hope you get to see it. I think it pops up on TCM now and then or maybe your local library (that’s where I got my copy.) may have it. Thanks again Dave, for your thoughts! I used to think that Crowther as somewhat unfairly maligned for basically being unhip or squarely conventional, but your quotations from his review of “Kansas City Confidential” only reinforces my recent discovery that his main failing as a critic wasn’t the conventionality of his taste, but his lack of reasoning skills. A few months ago, after watching “The Big Knife.” one of my all-time faves, I looked up his review at The New York Times. His inability to comprehend plot points and the motivations of the fim’s tragic hero was amazing in its ineptitude. If I remember correctly, Crowther or someone else at The Times wrote a second article a week or so later on BONNIE AND CLYDE “reevaluating” the film after other critics and the public came to love it. I have quoted Crowther a few times in reviews and he never ceases to amaze me with his lack of vision and narrow taste, yet he ruled for such a long period of time. Admittedly, he’s not always wrong. He got WEST SIDE STORY right and he clearly understood the corny conventional trappings of THE SOUND OF MUSIC that made it so popular on stage and screen. BTW, WEST SIDE STORY is one of my favorite musicals and THE SOUND OF MUSIC I just hate. John, a fine post that rightly emphasizes the darker aspects of the film and provides a nice overview of director Karlson’s career as well. In the fifties he made several unpretentious, gutsy, noir-influenced movies that showed those who were watching and listening (I know from his “Personal Journey Through American Movies” that Martin Scorsese was one of these) that film has its own artistry that isn’t necessarily derived from literature or from stage conventions. You named those movies, but I think “K. C. Confidential” is my favorite of all the ones I’ve seen. Crowther seemed to focus so much on the dark side of this movie that he missed the underlying morality and the classic theme, often found in Westerns, of the loner working outside society to re-establish a moral order and find justice for himself. Making a wrongfully accused man who is trying to clear his name the main character really gives us something to latch on to. 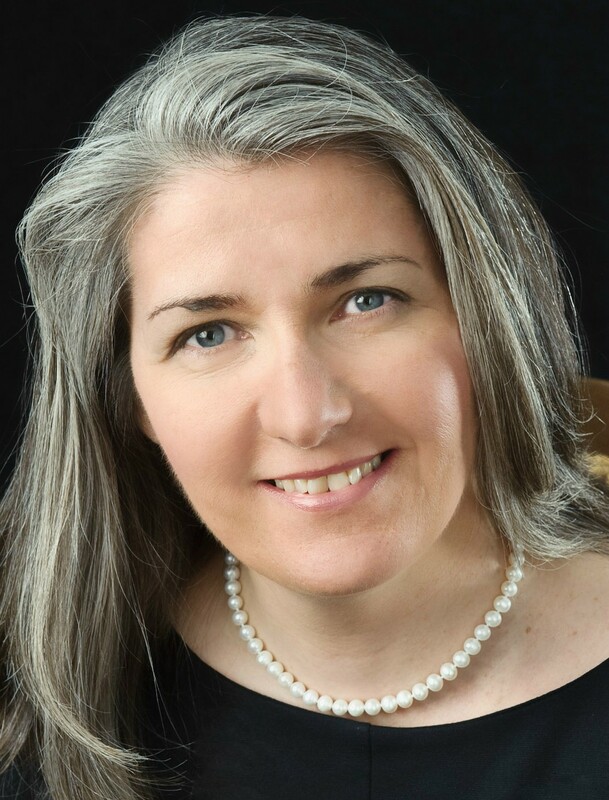 I liked the theme of the heroine, nicely played by noir icon Colleen Gray, caught between loyalty to her father, a good man gone bad, and her romantic interest in Payne, a bad man gone good. The element of Payne masquerading as a member of the gang, going undercover so to speak, adds great tension to the movie. R.D. – Thanks! I like you analogy comparing this film to a western and the loner “working outside society to re-establish a moral order and find justice for himself. Making a wrongfully accused man who is trying to clear his name.” To me, that is exactly what the film is about . It really has a western theme dressed in “modern” day dress. I really like the three thugs, Elam, Van Cleef and Brand, what a trio and Payne who on the surface at least looks like Mr. Clean Cut but can get just as down and dirty as the bad boys. The 50’s was truly Karlson’t peak period. The more vintage reviews I read from The New York Times during Bosley Crowther’s reign as film critic, the more I think Crowther must have lived in his own little world. At any rate, in the late 1940s through 1960s, Crowther certainly seemed out of touch with the moviegoing public of that period. 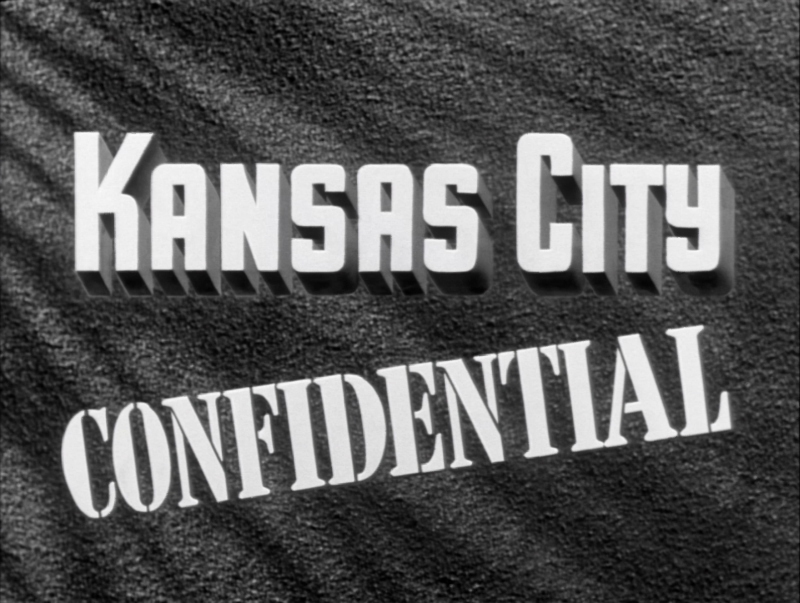 Although I love film noir, I’ve never had an opportunity to see KANSAS CITY CONFIDENTIAL, but I’ve noticed it in TCM’s “Now Playing” program guide every so often. It’s another film that I’ll make it a point to watch it next time it’s on. Thanks for the tip! Karlson’s later work was mostly lightweight in the 60’s and after. The Matt Helm films fit right in. His “golden” period was definitely in the 1950’s. He did an okay western with Glenn Ford and Inger Stevens around 1967 call A TIME FOR KILLING. It’s nothing to write home about, just a pleasant time passer. Hope you catch KC Confidential, I am confident you will like it! Again, I thank you so much for your comment. John, A very fine review of a film I’ve yet to see. I’ve seen “The Phenix City Story,” though, one of Karlson’s string of crime films of the ’50s – also hard-hitting and gritty and violent. Crowther was very straight laced, he disliked violent films throughout his career. 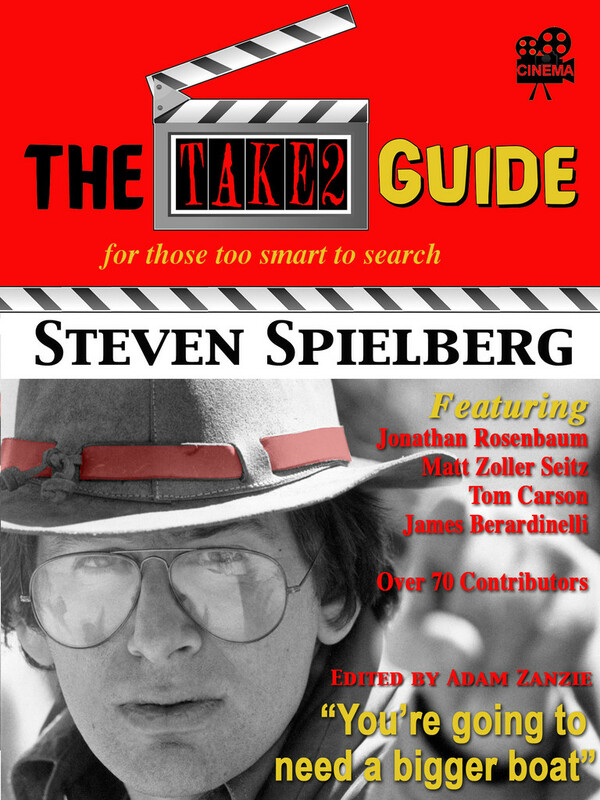 By the time BONNIE AND CLYDE came there were certainly more important critics out there (Kael, Sarris, Crist among them) who were more in tune with the changes that were going on in film and they also were more in synch with the youth audience of the sixties and seventies, more so than Crowther.